NAMM 2019 is over, but I do have some quick video reviews to share. One of those is the XDJ-RR. It’s out since September last year, and since I haven’t had the chance to review it yet (that will change soon), I had a closer look at the unit at Namm 2019. 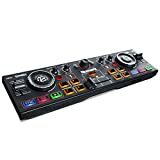 The unit is basically the little brother to the XDJ-RX2, and while it is similar in layout and features, it does miss a few things. For example, there are no audio inputs for the two mixer channels, so you can’t connect external audio sources, but there is a single AUX input that can be used for that purpose. 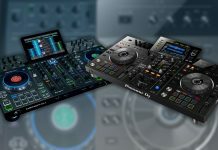 The XDJ-RR also has 4 performance pads per deck instead of the 8 pads per deck on the XDJ-RX2, and there is no touchscreen. The good news? It costs around USD 1000, which is a very decent price for what you get. 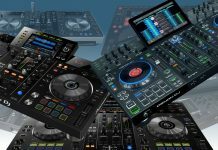 Denon DJ has been making waves with the release of the Denon DJ Prime 4, which costs USD 1699 but comes with features that we could only dream of prior to its release. 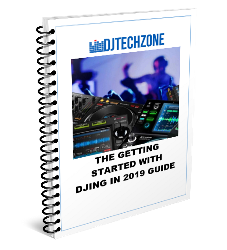 This spells trouble for the XDJ-RX2 that is similarly priced, but the XDJ-RR is relatively safe costing almost 700 dollars less while still having all the essential features DJ’s need to perform. I will reserve my final judgment until I get my hands on a review unit, but for now, I must say that for the starting mobile DJ that needs a reliable and well thought out all-in-one solution, this is not a bad way to get started. 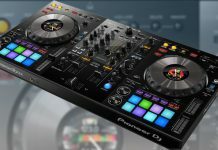 Also, the fact it’s compatible with Rekordbox and Rekordbox DJ means it can act as a DJ controller as well, which opens up even more possibilities when using it as a mobile DJ unit. Check out my full review soon!